As with my last reviewed book, Robert Rankin’s The Mechanical Messiah and Other Marvels of the Modern Age, this is one that I only got hold of and read shortly before the release of the author’s next book. Banks and Rankin are two of my favourite authors and I usually get their novels as soon as they come out; this past year, I’ve been a bit preoccupied with travel. In fact, The Hydrogen Sonata by Iain M Banks comes out tomorrow. Unlike the novels released with the M middle initial in the author’s name, and unlike Iain not-M Banks’s last book, Transition, this is not science fiction, but rather a crime/romantic drama set in a Scottish coastal town, the eponymous Stonemouth (often referred to as the Toun by the characters). Five years ago, Stewart Gilmour fled his home town in fear of his life – or at least in fear of a vigorous beating – after betraying his fiancée, Ellie Murston, the eldest daughter of the scarier of the two local mob leaders – and now he’s back for the funeral of his erstwhile wife-to-be’s grandfather. The specific details of what happened five years previously are doled out in a non-linear series of extended flashbacks, along with flashbacks of other incidents, most notably the death of Stewart’s schoolmate, Malcolm (‘wee Malky’). The novel is written with all the ease and confidence that you expect from Banks. His attention to details are one of his strongest traits in his non-sf guise. Scenes are described evocatively (though some passages edge into the over-written); and there’s a certain cinematic realism to the way his characters behave – if British TV drama were as good as American, it would be like an Iain Banks novel. Several and long flashbacks are a Banks trademark – and a technique that I’m not that keen on. Some of them here are very good – like the moment when we learn how people found out about Stewart’s fling – but flashbacks rarely drive the narrative forward – they’re like listening to a more or less tedious anecdote. The ones regarding Malky, while adding to the tone of the piece, don’t appear to contribute anything to the actual story. For the most part, the book is beautifully written, but there are moments where the narrator, Stewart, suddenly kind of realises he’s in a novel and does something proactive and plot related – but, unlike everything else we see through his mind’s eye, he doesn’t elaborate or explain what he’s doing. You generally have a good idea of what he’s about, but I forgot a few details of names and suchlike and found it occasionally confusing. 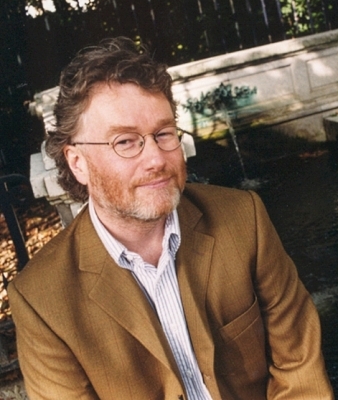 Like many of Iain Banks’s other books, it is very concerned with families and their various hang-ups and skeletons in the closet. The difference here is that Stewart’s own family is of no particular interest – it’s his ex-betrothed’s clan that’s the problem. However, because the narrator is not of them, is, in fact desperate keep all but one of them at barge pole’s length, you don’t end up learning as much about them as you’d like. As a result, Stonemouth is either more subtle or more slight than earlier works such as The Crow Road or Whit. Also, I felt throughout this book that it just retrod the ground broken by those previous volumes. I enjoyed reading Stonemouth – Banks’s facility with words, characters and setting gets better and better; but, plot-wise, it was a bit weak and had none of the stunning originality and bravura plot twists that made him one of my very favourite writers. Still, The Hydrogen Sonata will be in shops by the morning – it’s a Culture novel, and they’re always the best. Stonemouth was on BBC Radio 4’s Book at Bedtime a while ago and was read by David Tennant. You can listen to it on YouTube.